How did I spend this weekend? Well, originally I had planned on attending Music Midtown with my son and seeing some cool new bands play. That didn’t happen though. Peanut got a concussion on Friday afternoon, after colliding with a football player in a pick-up b-ball game. He had a goose egg contusion above his left eye and was definitely dizzy. After a quick trip to the amazing Children’s Healthcare of Atlanta ER, he went home to rest. He was beyond upset and disappointed to miss all the Mount Vernon homecoming festivities, including playing drum line at the big game on Saturday. Plus, we had tickets to Music Midtown’s impressive Saturday lineup. Missed that too. I stayed home with Peanut. Not such a bad change in plans after all. Patrick is recovering beautifully from his injury. All that rest has given his noggin a chance to recoup. We learned from our concussion experience last year. Rest is ESSENTIAL. That and lots of carb-rich foods and water (thank you, Julie and Jim, for the dozen Dunkin Donuts! He stayed sugared up!). The doc said our brains are 80% water and need extra hydration when healing. And lots of extra sleep. So he slept and I sewed. 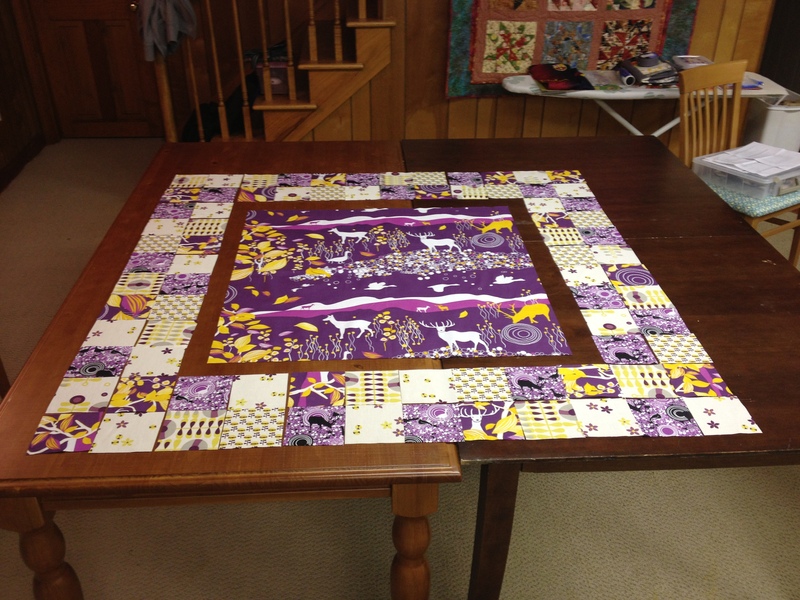 During that down time, I finished the Saffron Craig Goose Bubbles quilt top (woohoo!) 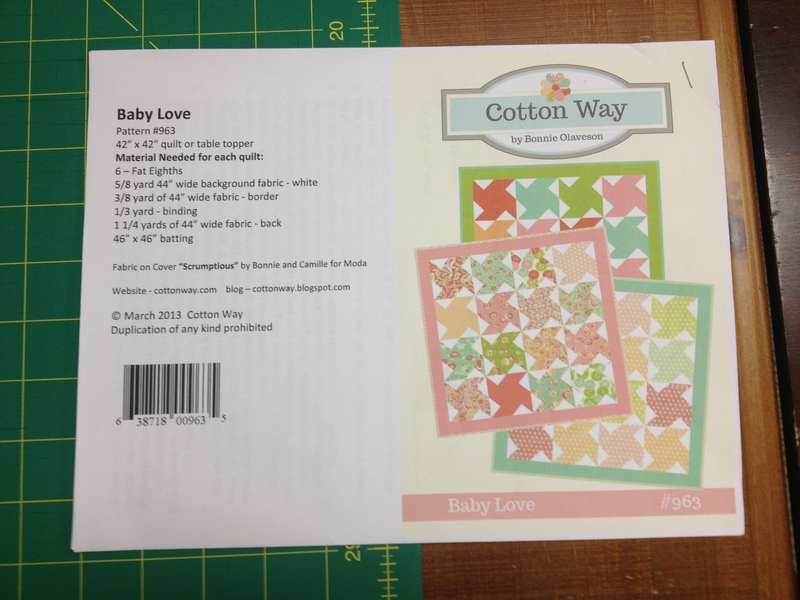 and started on a pinwheel quilt pattern using the rest of my Tula Pink Prince Charming fat quarters. 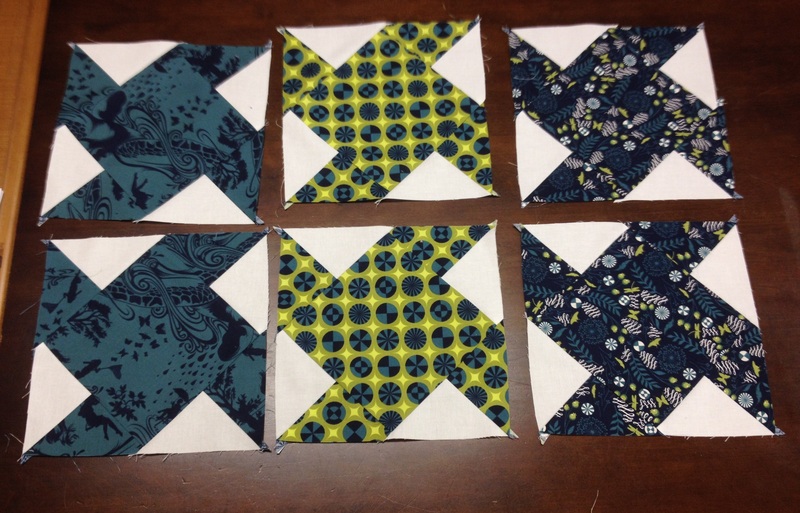 I have a backlog of four quilts to be sandwiched now! That’s some impressive stitching! I moved my beading projects to a fold up table in my basement workshop, giving me both large dining tables as work space. In the past few weeks, I have been on a creative tear. 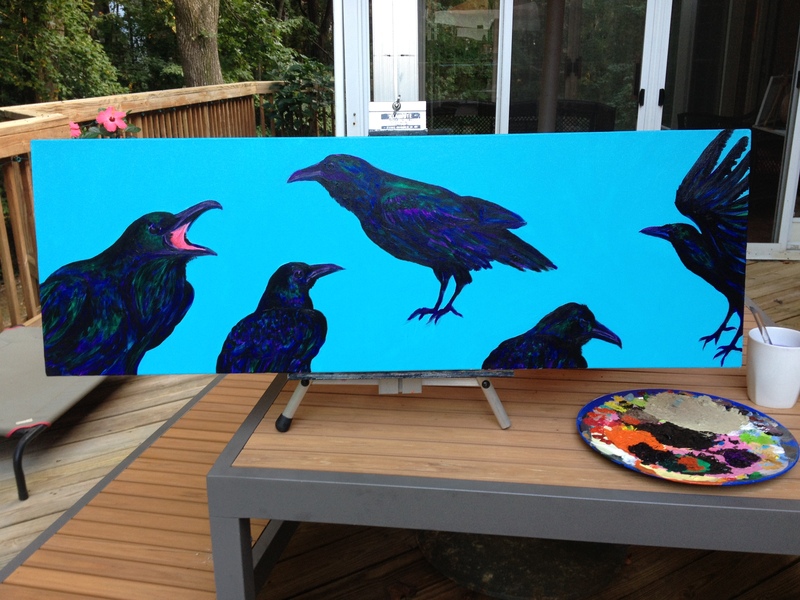 I tackled my crow painting again…it’s really looking bold. The crows are a symbol for my depression. My first idea was to put party hats on them, because I often downplay how bad I feel when depressed so people don’t mind being around me. I think it has more impact though with just the crows. I have another painting in progress that’s about dangerous beauty, featuring Venus fly-traps, a fierce-looking tiger lily and a pit viper with fangs bared. This entry was posted in art, Birds, Family, Quilt, Quilt blocks, Quilting, Saffron Craig, sewing, Tula Pink and tagged Beauty, Children's Healthcare of Atlanta, Concussion, Crows, Depression, Elk, Goose Bubbles, Pinwheels, Prince Charming, quilts, Saffron Craig, Tiger Lily, Tula Pink, Venus Fly Trap, Viper. Bookmark the permalink.